The Rivers State Government is set to embark on the recruitment of 10,000 new teachers in the state. The Rivers State comissioner of education, Dr Tamunosisi Gogo Jaja disclosed this in a statement made available to Views Media. 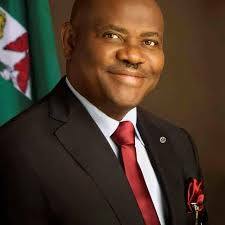 Dr Gogo Jaja disclosed that the new recruitment is part of the vision of the Wike- led Government to reposition the state educationally and also curb the rate of unemployment amongst youths in the state. Dr Jaja stated that the state ministry of education is ready for the recruitment of the new teachers and is only waiting for the approval of the state governor,Barrister Nyesom Ezenwo Wike. The recruitment exercise is to commence in the next academic session in september 2018. God shall up lift u higher, my great governor for having fabulous intention over ur people. I need the joy thanks. Please, what's the process/procedure for getting the employment?